One thing I have noticed is that it seems like most of the time that in terms of movies, (no matter what the genre is,) that generally speaking people tend to think in terms of the most modern movies being the most relevant. But movies have been a massive source of entertainment for people all over the world for well over 100 years. With Halloween coming up later this month ABM along with Hellinspace will be teaming up to bring you 10 great horror movies (one per decade) from the early shorts in the 1910s up to the present day to enjoy this Halloween! 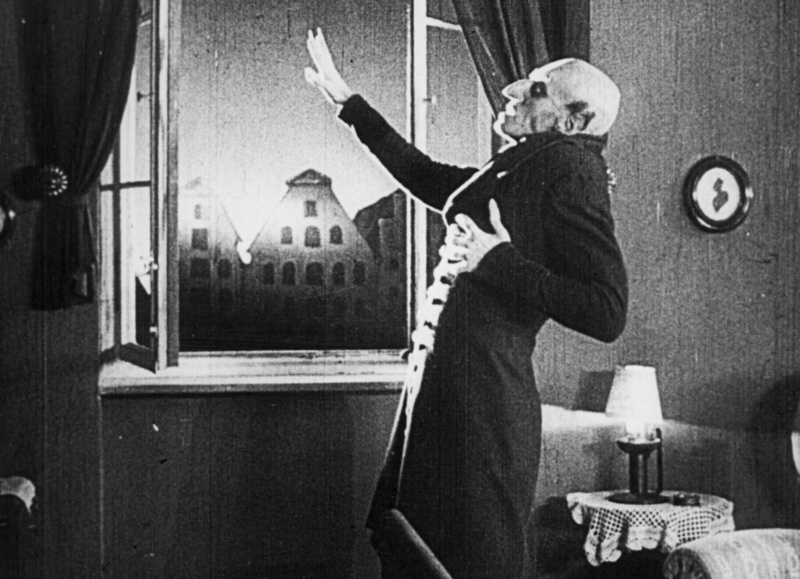 And so we hope you enjoy this list of these first 5 horror movies from the 1920s on up to the 1960! A true silent classic, and one worth enjoying on Halloween! With that said, not only can you say that this movie is the first, ‘Dracula’, movie to have ever been produced, but this movie could in some respects be said to be the direct ancestor of the modern, ‘Vampire’ movie! And so if you are looking to enjoy a fun silent horror movie this Halloween… Then this is definitely a great one that you are going to enjoy, but don’t just take my word for it, enjoy this trailer for the movie! White Zombie… One of the first Zombie movies of all time! From the 1930s onward one of the things that Bela Lugosi (Dracula) became known for, is his work in, ‘B’ Horror & Sci-fi movies… Some may say that, that is a bad thing… But we know better, don’t we! And for my next one I wanted to recommend White Zombie (1932) for a great horror movie from the 1930s to enjoy! Written by: Garnett Weston (Supernatural) & Directed by: Victor Halperin (Revolt Of The Zombies). Starring: Bela Lugosi, Madge Bellamy (Lorna Doone) & Joseph Cawthorn (Secret Studio). This movie tells the story of a young man who turns to a witch doctor to lure the woman he loves away from her fiance, but instead turns her into a zombie slave. This movie was actually so good that Rob Zombie named the band he was in, in the 1990s after this movie! But you know what? Don’t take mine or Rob Zombie’s word on this, check out this trailer for the movie! The Mummy’s Curse (1944), another fun old time film! Written by: Dwight V. Babcock (She-Wolf Of London) & Leon Abrams (The Adventurer) & Directed by: Leslie Goodwins (My Favorite Martian). Now this movie tells the story of an irrigation project in the rural bayous of Louisiana that unearths Kharis the living mummy (Lon Chaney Jr.), who was buried in quicksand 25 years earlier! This was personally the first old mummy movie that I had ever seen,and I have to say that I was very pleased with this one! (Don’t worry, this one is a, ‘talkie’,) besides the fact that the acting is some of the best I have ever seen, the story for this movie is absolutely awesome and well worth checking in to if you are looking for some great old horror movies to enjoy! For more information on this movie, please enjoy this trailer for: The Mummy’s Curse (1944)! Christopher Lee is about to get a mouth full in this classic Hammer horror film! 1. This movie was one of the earliest pairings of Peter Cushing (The Curse Of Frankenstein) Christopher Lee (The Wicker Man)… And this partnership between these two famous horror movie actors would become one of the most famous movie partnerships in horror movie history! 2. Hammer movies are truly prolific in the, ‘B’ horror movie genre, and if you haven’t actually had the chance to see one, you really should! For more information on this movie, please enjoy this trailer! 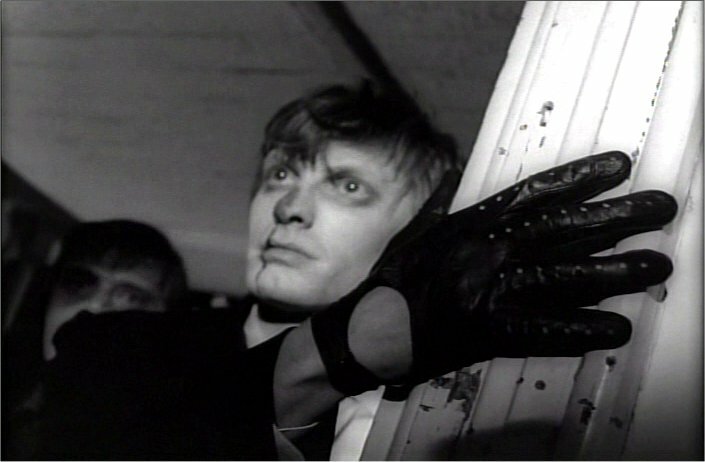 Night Of The Living Dead… Need I say more? There is really only one reason I am recommending this horror movie, and that is because it is on of the best, ‘Zombie’ movies of all time! And for the next 10 movies, please check out this article over at: Hellinspace.com!